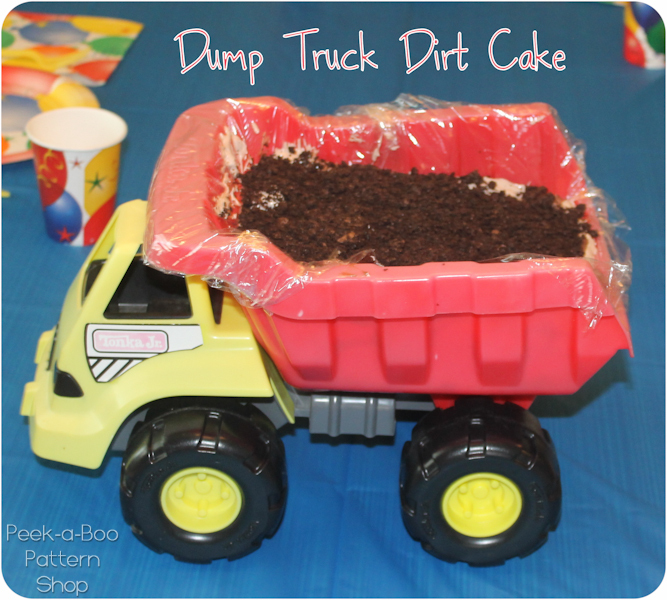 Dump Truck Birthday Cake - Peek-a-Boo Pages - Patterns, Fabric & More! 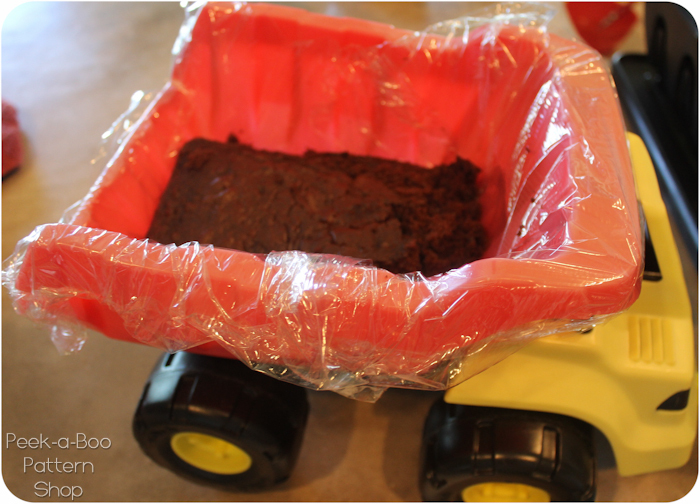 For Will’s party this year I made him a dump truck birthday cake. 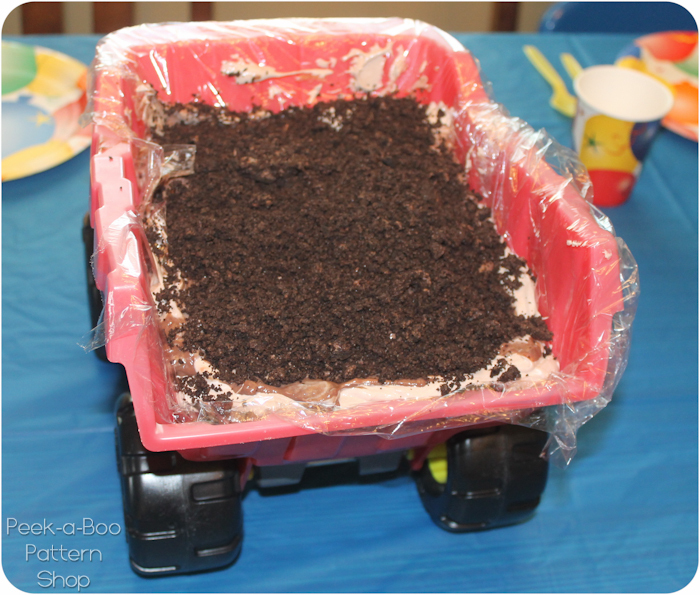 Not just any old cake either…a dump truck dirt cake! 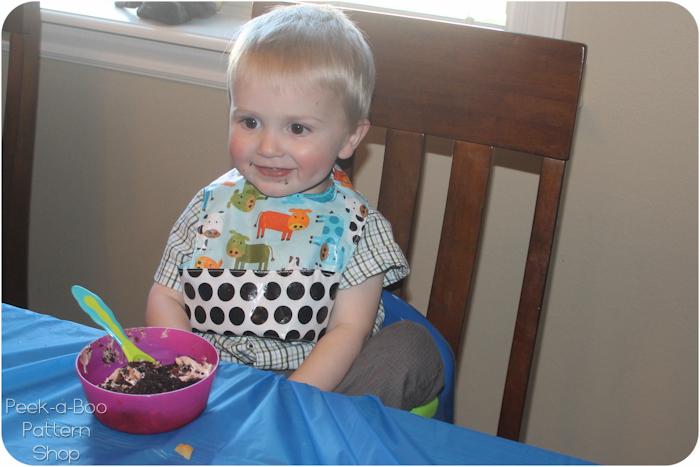 I am horrible at cake decorating but even I could pull this one off and the birthday boy loved it! What little boy wouldn’t love a truck full of dirt? 2. Beat the cream cheese and cool whip until smooth. You can add additional cool whip if you’d like. 3. Cook your pudding, let it cool and discard the skin on top. If you used instant just mix it up and you’re ready to go. Mix half of the pudding into the cool whip mixture. 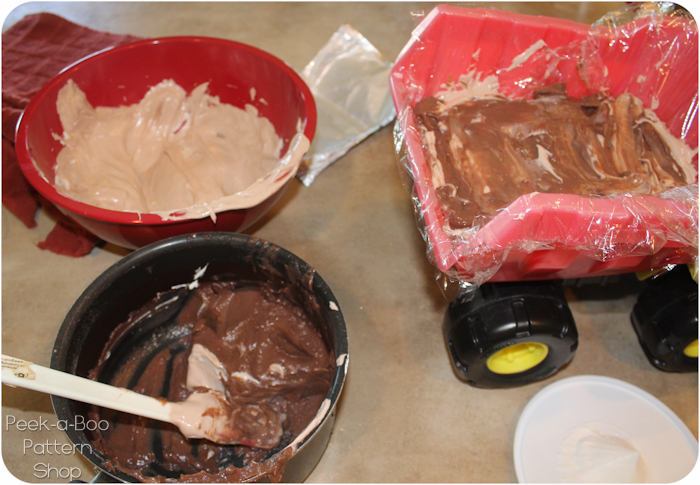 You will now have light brown mud and dark brown mud ready to add to your cake. Add a layer of each on top of the cake. You should have some left for at least one more layer. 4. 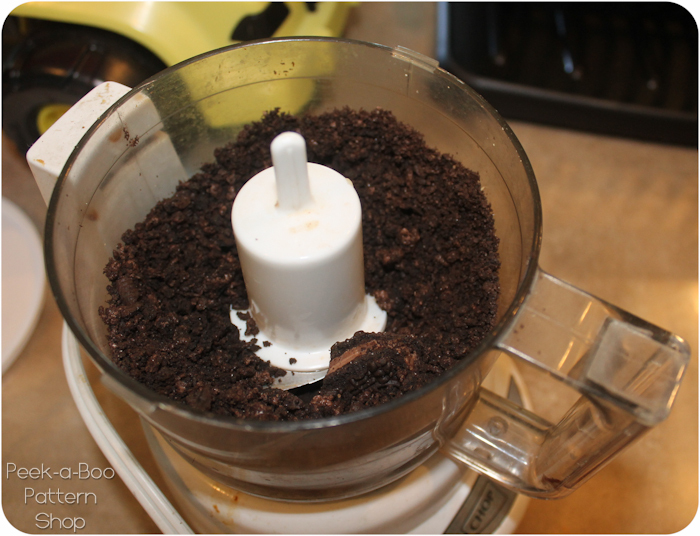 Crush your oreo cookies or run them through the food processor. I did around 6-10 cookies for each dirt layer. cute! 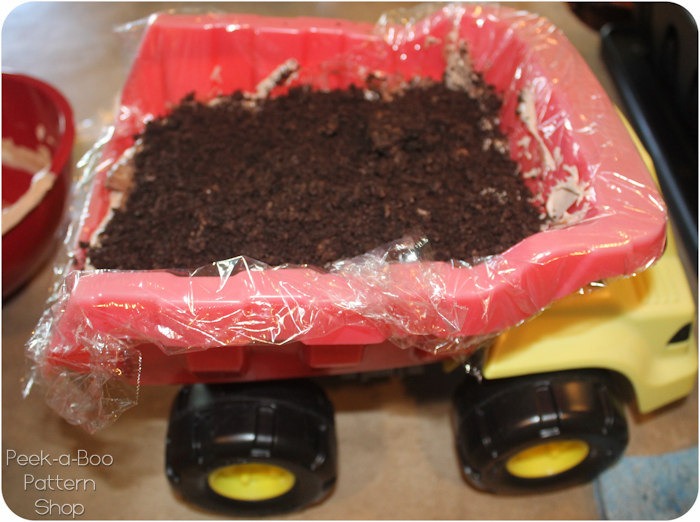 my friend just did a dirt cake for her husband’s birthday, he works for Caterpillar, so it was a mountain of cake and crushed oreos then tiny CATerpillar toys going up the cake, really cute.